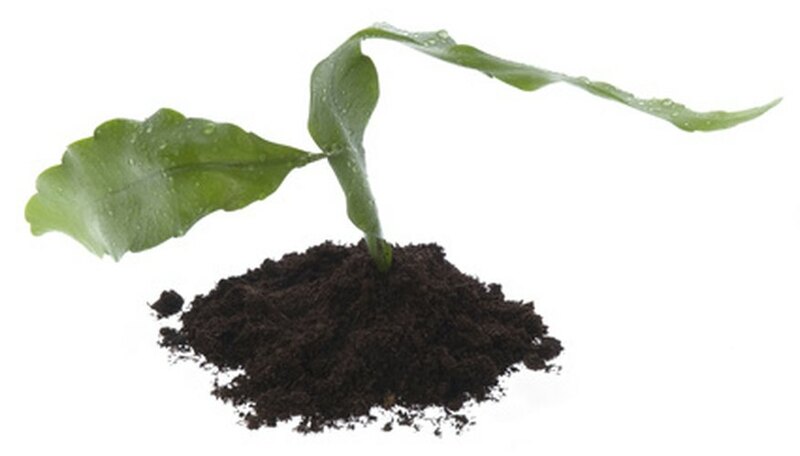 Topsoil consists of four major components: minerals, organic matter, water and air. Ideal soil contains less than 50 percent solid particles, 25 percent liquid, 25 percent air and less than 5 percent organic material. While the percentages of these components vary by region, it is the presence of organic matter that makes topsoil the most fertile part of the soil layer. Organic matter is considered a catchall term for living organisms and plant and animal residues in various stages of decomposition, according to “Taylor's Master Guide to Gardening.” The microorganisms in the soil break down this matter, releasing elements such as nitrogen, sulfur and phosphorus that can be used by plants for food. Mineral particles from rocks are another component of topsoil and constitute more than 95 percent of the bulk of most soils. These rocks come from bedrock or a deposit from a weathering process such as erosion or from a flood. The size of mineral particles determine what type of soil it is: sand is a small particle, silt is smaller and clay particles are the smallest yet, according to the University of Hawaii. The rocks in the soil are continually broken down by organic microorganisms that release acids, freeing minerals that are used by plant for nutrients. In ideal soil, water is held in small, capillary pores while air is held in larger pores, and both are readily available to plants, according to the “Encyclopedia of Gardening” by The American Horticultural Society. Clay soils have the highest amount of capillary pores and hold the greatest amount of water, but it is largely inaccessible to plants because the pore size is so small. These small capillaries also restrict the amount of air in clay soil. Although sandy soils have coarse pores that allow plants to readily access water, the amount of air in the pores cause faster drainage.